Alpari has announced recently the launch of the contest “Investor’s Compass” in order to promote their service Alpari PAMM managed accounts. The contest will last for 4 weeks and do not need to invest to participate in the contest and win prizes. The first round of awards will be for the first 5 places, with the possibility to earn from $ 100 to $ 1 000 dollars. This is the opportunity to test Pamm Alpari Managed Accounts without risking real money and check if the Managed Accounts from Pamm Alparti or not a good option. For more information log on the website of Alpari. This contest is based on allowing any participant to invest money in a virtual-PAMM Account Managers Alpari, choosing the most appropriate that, at its discretion. You must register, then receive 3 virtual purses with a deposit of more than 300 000 USD, which makes the investment opportunities are endless vitual. All you have to do is choose from the list of managers Alpari PAMM-account more efficiently and invest in order to maximize the initial capital. V place – 100 USD. “Investor’s Compass” – a unique contest that offers participants the opportunity to win real prizes with a risk free investment. Visit the website of Alpari to participate in the contest. This contest is still very interesting and if you want to read more about this promotions you can read at Alpari website and read this Alpari forex review. 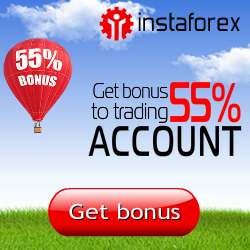 How prefer to invest in Forex?